The Australian-American Fulbright Commission office is based in Canberra and is run by a small but dedicated team. Please contact us if you have any queries about the scholarship program, eligibility, application advice, Fulbright alumni network, or to find out how you can support the Commission. Tom was appointed as Executive Director of the Commission in August 2016. A career diplomat, Tom served in Africa, the Middle East, Europe, Australia, and Washington. He was U.S. Ambassador to Burkina Faso from 2010-2013, and most recently was the Deputy Chief of Mission at the U.S. Embassy in Canberra from 2013-2016. 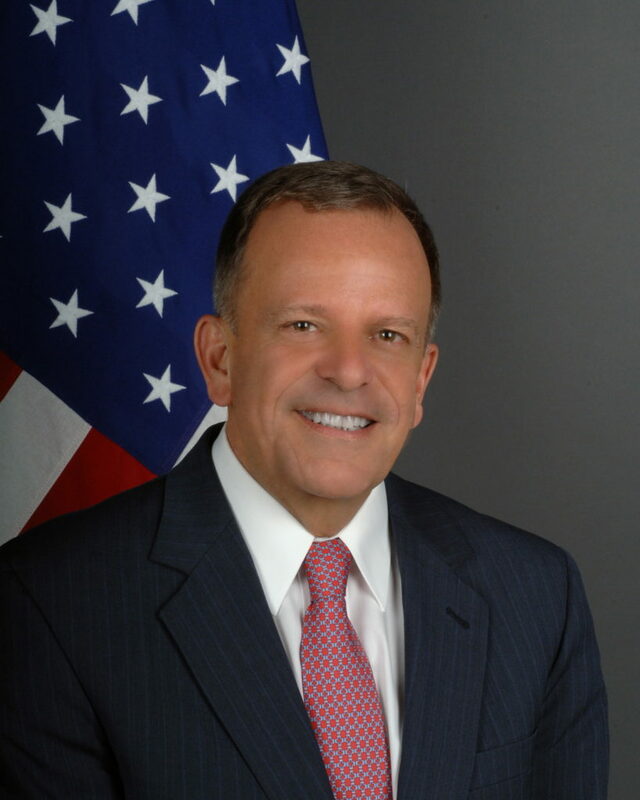 After joining the State Department in 1989, he served overseas in Dakar, Senegal; Jeddah, Saudi Arabia; Brazzaville, Republic of the Congo; Asmara, Eritrea; Bonn, Germany; and Yaounde, Cameroon. He then served as Deputy Chief of Mission in Lilongwe, Malawi, and as Deputy Chief of Mission in Kinshasa, Democratic Republic of the Congo. He directed Fulbright programs in several countries, including the very large program in Iraq where he served as Minister-Counsellor for Public Affairs in 2009-2010. Prior to joining the U.S. Foreign Service, Tom worked in international schools in Belgium and Switzerland, and was a Fulbright grantee himself in Indonesia and Singapore in 1988. A native of Wyoming, Tom graduated from Brown University, and did postgraduate work in Italy and California. His foreign languages are German, Italian, Arabic, and French. He is a member of the American Academy of Diplomacy and is active in not-for-profit development projects in Africa. Mark joined the AAFC in Nov 2017 as Business Manager. He is a dynamic business manager, leader and team player, who has developed a unique blend of management skills and experience in helping proactive businesses and organisations improve their efficiency, systems and profitability. He has over 30 years experience in marketing and business management positions with multi-nationals and SME’s in Australia and has worked in various industries including the petroleum/oil, IT, occupational health and accounting industries. Mark is a versatile, resourceful and dedicated person who is motivated by new challenges and enjoys being part of a progressive team. 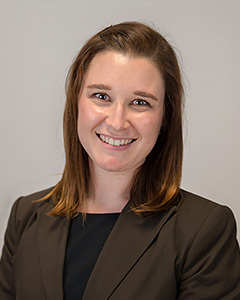 Tara is the Scholarships Manager at the Australian-American Fulbright Commission where she is responsible for directing all activities of the U.S. and Australian scholarship program, manages stakeholder engagement, oversees philanthropy, and coordinates all major events. She has over 10 years’ experience managing and developing complex, multifaceted programs in the higher education sector. The programs in her tenure have had cross-cultural, leadership and educational focuses, which are implemented through activities that empower participants through the broadening of both knowledge and horizons. Tara is currently completing a Master of Business (Philanthropy and Non-Profit Studies) through QUT. She has previously completed degrees in Social Impact Assessment (GCertSIA) and Development and Culture Change (BASci) through Macquarie University. She also holds a Diploma in Management and Leadership from She Leads (BSB51915). Tara is passionate about developing and running innovative, sustainable programs that have a significant global and social impact. Pablo has worked in international education for 13 years. 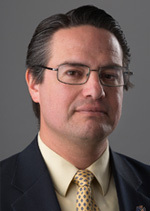 As part of the Commission Team, Pablo has held positions in Partnerships (2013-2014) and Alumni Relations (2015 to present). 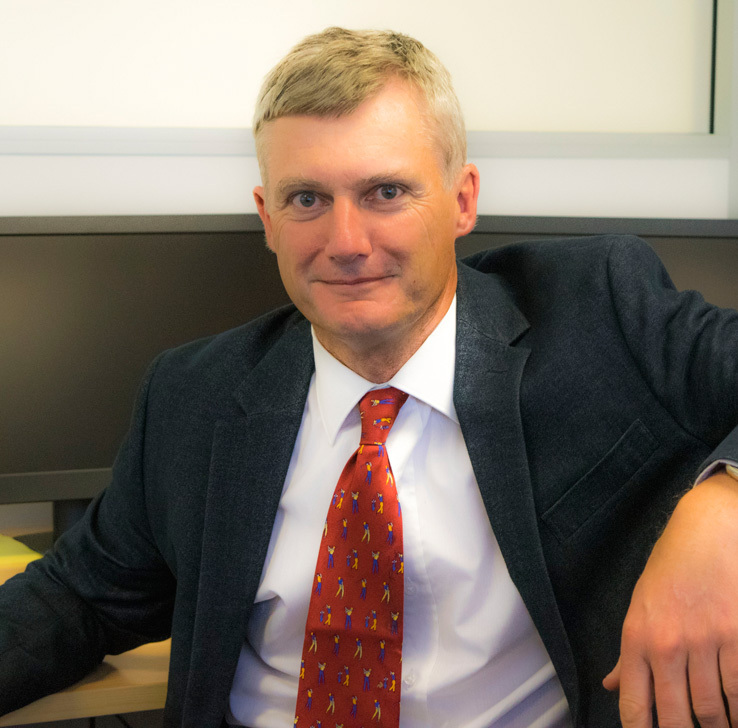 His main responsibility is to connect with, and involve alumni as partners in the advancement of the Fulbright Program. Additionally, he has administered the East Asia Pacific Regional Travel Program (2013 to 2016) and the Fulbright Specialist Program (2013 to present), and is the Commission Liaison for several universities in the Australian Capital Territory, New South Wales, the Northern Territory and Western Australia. Pablo’s degrees have been in Economics, Liberal Arts, Philosophy and Family Studies. His doctoral thesis explored the problem of political identity in the European Union. For over 12 years he tutored and lectured at several universities in Mexico and Australia. He has published academic articles in journals in Australia, the UK, Germany, Mexico and Spain, and short pieces in several online journals. He belongs to the editorial board of an international philosophy journal, and is an Adjunct Lecturer at the Institute for Ethics & Society, University of Notre Dame Australia. Pablo is fluent in Spanish and Italian, and can read in Portuguese and French. Alex joined the Australian-American Fulbright Commission in February 2015 after graduating from a double-degree in International Studies and Communications at the University of Canberra. 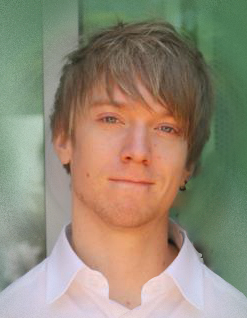 His specialisations in the fields of interpersonal and intercultural communications bring a unique background to the diverse Fulbright team, and his expertise in journalism and graphic design has been put to good use in the development of the Commission’s new flagship publication, Minds and Hearts. Two years of study in Japan at St Paul’s College, Tokyo and Aichi Shukutoku University have fostered within Alex an avid interest in, and deeper understanding of, the wider Asia-Pacific region, as well as fluency in Japanese language. As a beneficiary of international scholarships, Alex is enthusiastic and motivated to help facilitate the same study abroad programs that helped him develop his skills in intercultural communication. The Fulbright community is the perfect environment for him to achieve these aspirations. Karen joined the Australian-American Fulbright Commission in April 2017 and manages all U.S. & Australian scholars during their programs in Australia and America as well as looking after the ED and the board. 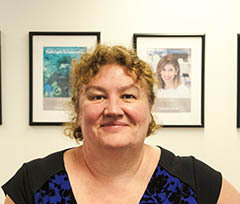 Karen came to the organisation with a strong administration background having worked in various positions for over 11 years, and in the not-for-profit sector for the past four years. Karen likes to travel with friends and enjoys following the netball. 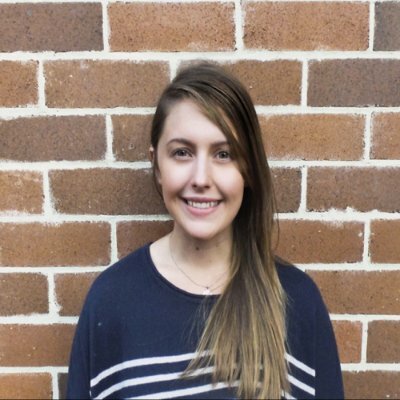 Lauren manages all U.S. & Australian students during their programs in Australia and America. Having lived and worked overseas Lauren has a true passion for travel and understands the importance of people’s desire to challenge themselves. 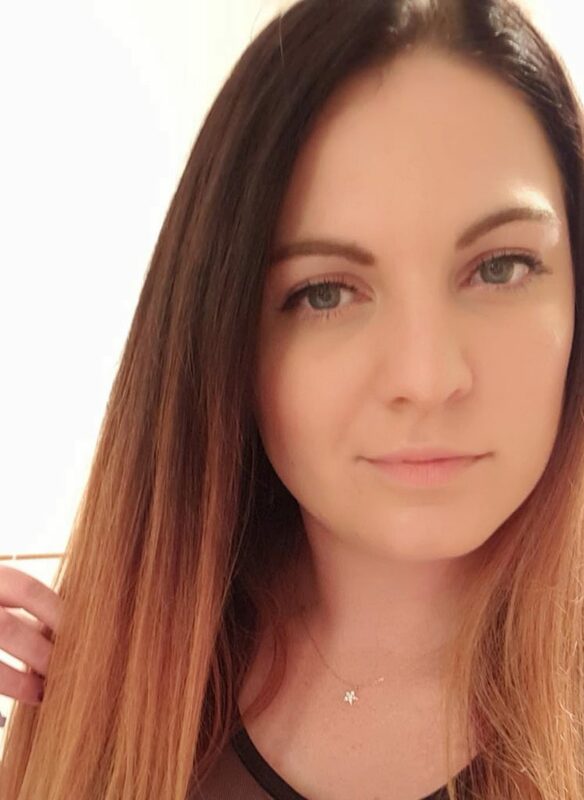 After obtaining degrees in Design at The University of Canberra and Canberra Institute of Technology, Lauren has found her passion in project management, promotion and event specialisation. Having worked in the Tourism industry for 8 years Lauren is inspired to apply this knowledge to promote a motivating, exciting and collaborative environment with the Fulbright Commission. Rebecca is the Scholarships Assistant, providing administrative support to the Fulbright team. Rebecca is very passionate about supporting people to reach their full potential and achieving great outcomes. Rebecca has worked in the Education sector for 5 years. In this area, she has worked for a registered training organisation as well as a high school for disadvantaged and disengaged students. Rebecca holds Certificate IV in Business Administration, Training & Assessment as well as a Diploma in Management.